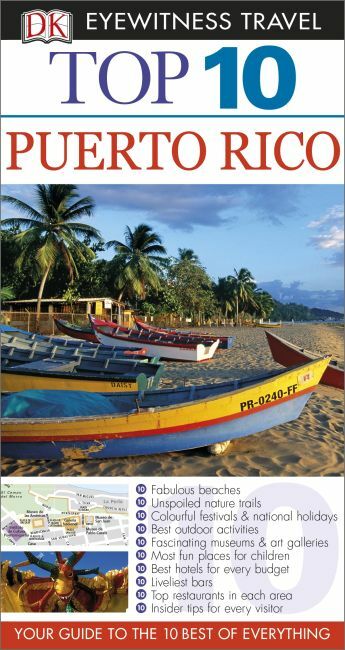 DK Eyewitness Top 10 Travel Guide: Puerto Rico will lead you straight to the very best on offer. Whether you're looking for the things not to miss at the Top 10 sights, or want to find the best nightspots; this guide is the perfect companion. Rely on dozens of Top 10 lists - from the Top 10 museums to the Top 10 events and festivals - there's even a list of the Top 10 things to avoid. The guide is divided by area with restaurant reviews for each, as well as recommendations for hotels, bars and places to shop. You'll find the insider knowledge every visitor needs and explore every corner effortlessly with DK Eyewitness Top 10 Travel Guide: Puerto Rico. DK Eyewitness Top 10 Travel Guide: Puerto Rico - showing you what others only tell you.